We know - you'd love a hanging basket of lush greenery cascading downward, but things like watering and overgrowth become a pain. Here's your answer - this exceptional mix of vining greens, complete with a beautiful hanging basket. Because this is a flawless re-creation, you won't have to ever get out the watering can and step-stool. Instead, this perfect specimen will look great for years to come. 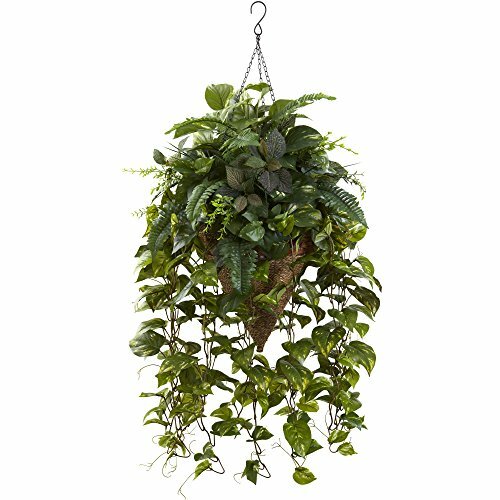 Give your front porch a facelift with this Boston fern silk hanging basket. This lush arrangement is full with expertly crafted, textured green leaves that cascade down the side, mimicking the style of a true fern. 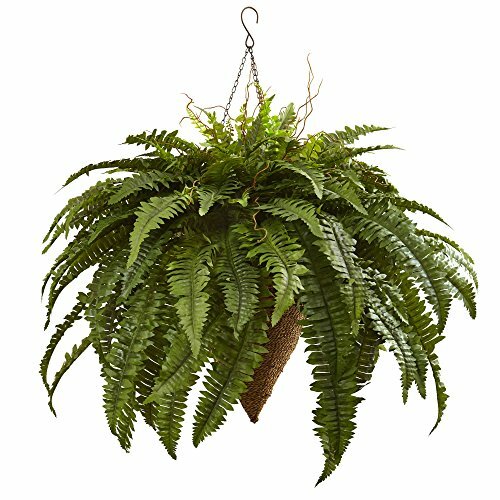 Timeless and worldly, the Boston fern is a classic plant that is perfect for front porches, sunrooms, and more. Natural maize and salim rope with rattan twig accent. Comes with rigid wire hanger. The bird's nest fern makes a statement. 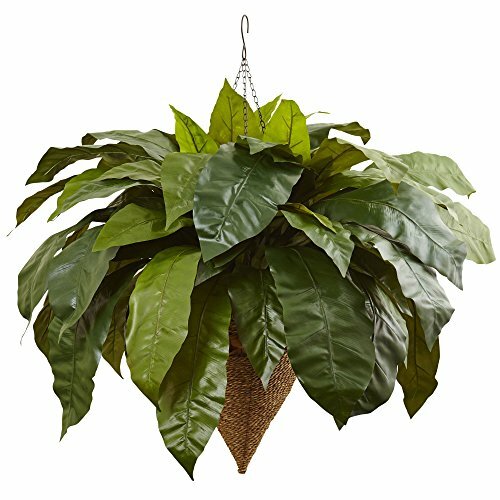 With its large, billowing leaves and a glossy finish, this arrangement mimics a true fern. The tiered leaves start small on the top and get larger as they go down. 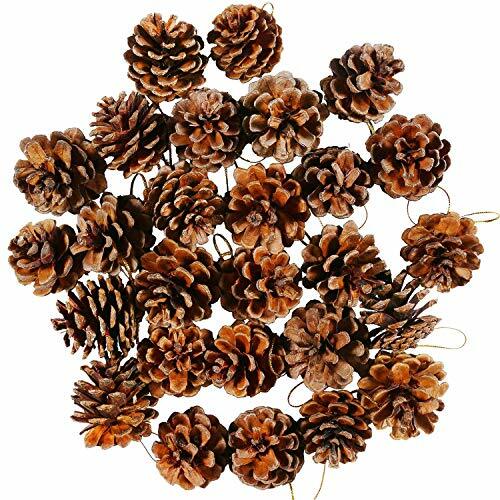 Perfect for sunrooms, porches, and more. Recommended for indoor use. 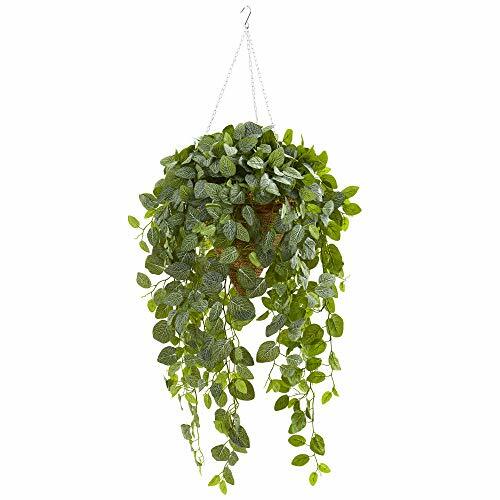 If you want to add a dramatic focal point to your living room’s arrangement, then look no further than this 4.5-foot fittonia artificial plant. 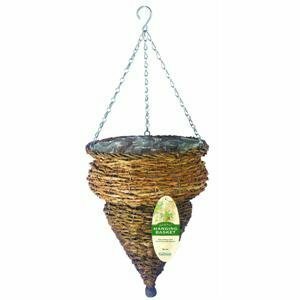 Its ample amount of variegated leaves feel real to the touch and fill up a hanging cone, spilling over the top and draping downward. 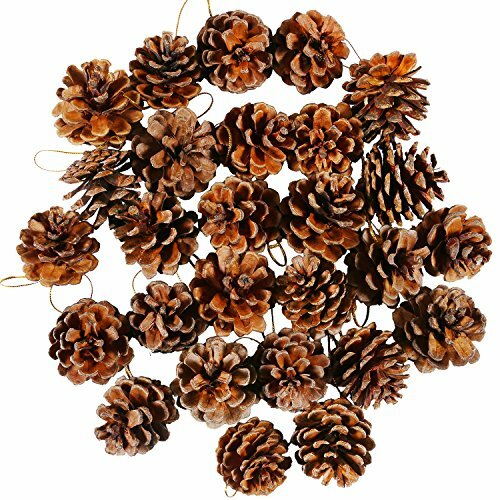 Hang this beautiful plant from a high ceiling above your dining room table. It’ll create a canopy over this space that will make you feel like your sitting outdoors under the trees. 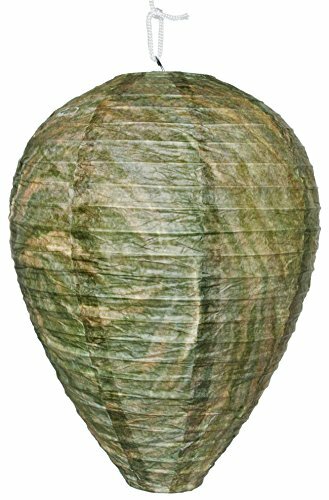 Gardman R292 12” Rustic Rattan Urn Hanging Basket. 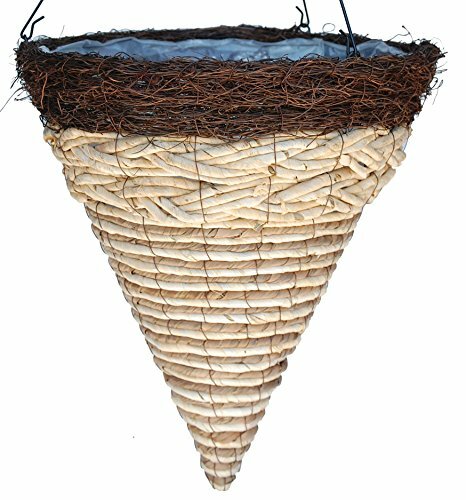 Appealing cone shaped 12" diameter hanging basket constructed of 100% natural rattan fibers woven around a strong galvanized steel frame. 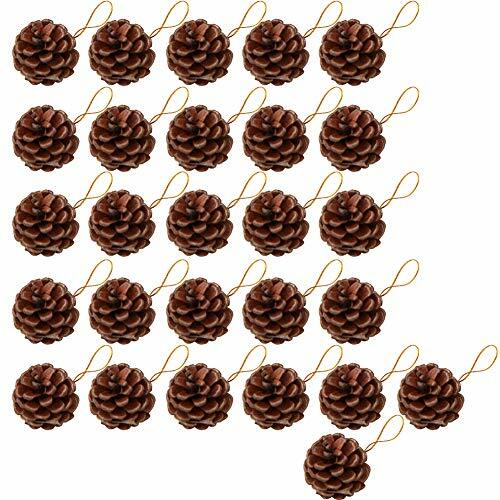 Unique cone shape adds depth promoting soil saturation and healthy root growth. Three heavy-duty galvanized steel chains with stainless steel "S" hook included for easy hanging. Arrives ready for planting; complete with pre-installed heavy gauge plastic liner for added water retention. Suitable for use indoors or out: when used outdoors it is recommended that drainage holes be made in the plastic liner. Dimensions: 12” Long x 12" Wide x 12" High. Gardman "Bring your garden to life"